I obtained this plant from a well known grower in Sweden through my good friend Julie Kennedy in the UK in 2014. 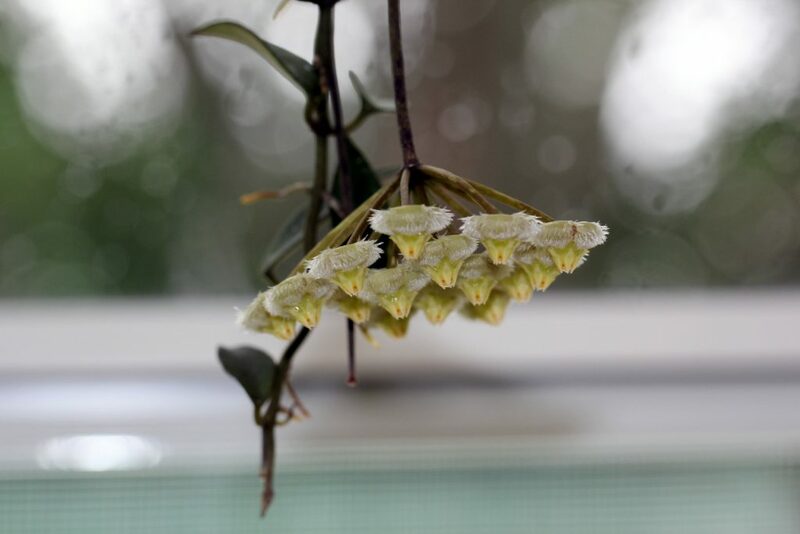 The plant literally did nothing for months and finally in the late spring of 2015 it started to grow a little and finally flowered mid-summer. 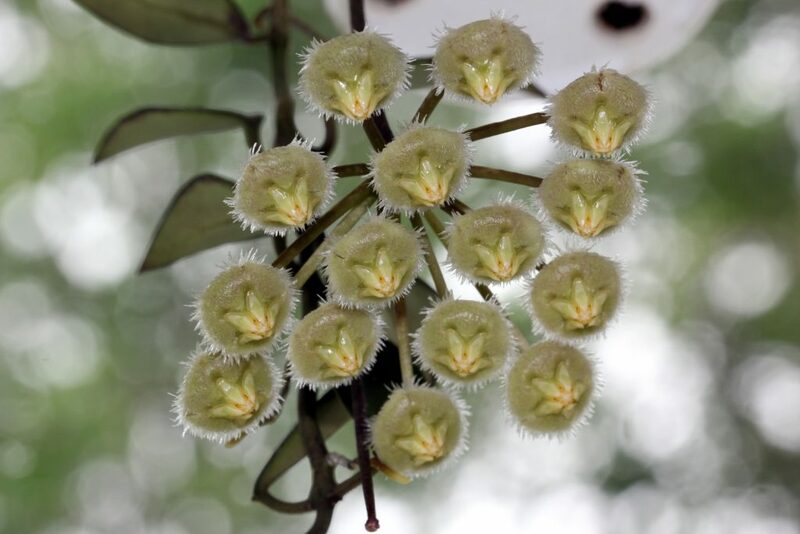 The leaves of Hoya mirabilis Clone A are wider, longer, and with less flecks of silver than Clone B. While I grew my giant Clone B in semi-hydro where it thrived and flowered dozens and dozens of times, I grew Clone A conventionally in soil where it did not do nearly as well. 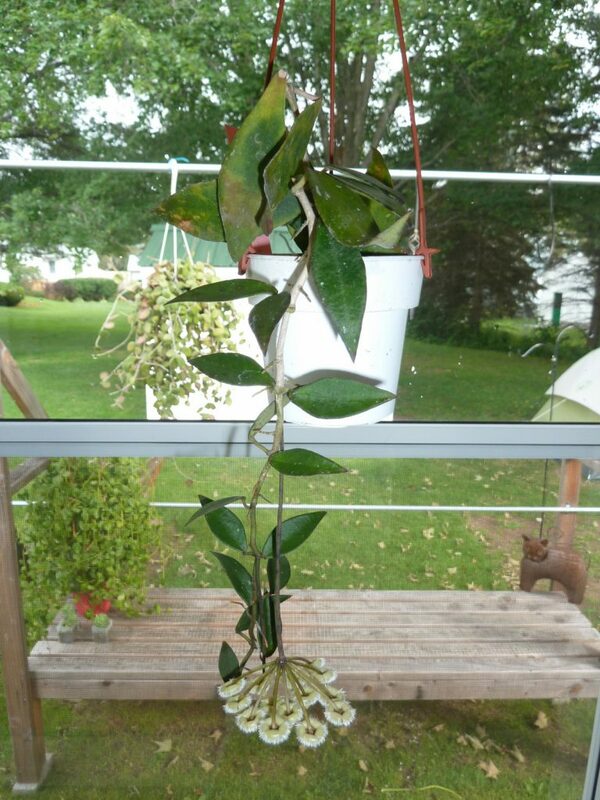 I believe that both clones of H. mirabilis would do best grown in leca using the semi-hydro method. Both clones drip so much nectar that they would best be grown out of doors where they could be hosed off periodically. The flowers smell of freshly mowed grass.